This book covers a wide gap in the academia on non-profit sector as its based on original research conducted to understand leadership development in the UK's non-profit sector. The methodology used to conduct research is Transcendental Phenomenology , which is mainly driven from Edmund Husserl s work. The research was carried out with Clark Moustakas s Method of Conducting Phenomenological Research . The research and results are based on in-depth interviews with leaders of the sector. 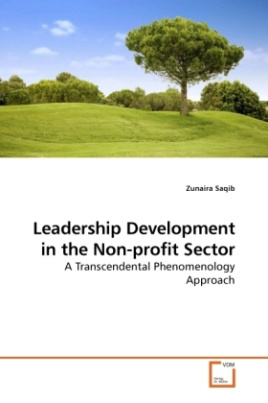 The book gives an insight into the phenomenon by looking at existence, issues, and challenges of leadership development in UK's non-profit sector. The research ends with major findings regarding meaning of leadership development phenomenon, identification, resolution of challenges, and new practices.